Fissure sealants are a thin layer of coating that are spread onto the grooves of back teeth. Some teeth can form with deep and/or large grooves on the biting surfaces of the teeth; therefore, the tooth is more susceptible to bacteria and food getting stuck on the biting surfaces. This, in turn, can cause decay. The sealant creates a barrier that protects the tooth from these risk factors. Fissure sealants are best for children who have just had their permanent molars come through. These adult teeth’s enamel is still maturing and therefore they are not as strong as they will be after some months. This is around the age of 6 for the first set of molars and if required after 12 for the second set of molars. This doesn’t mean adults can’t get sealants; if they have a high rate of decay and deep grooves the dentist may recommend sealants. Most sealants last for a number of years but they should be checked regularly to make sure they are still intact. Depending on the persons bite they can wear away faster. If needed they can be topped up. It is a very simple process that does not need numbing up and is not time consuming. First the chewing surface of the tooth is cleaned thoroughly. The material won’t bond properly to the surface of the tooth if the tooth is wet. Therefore, it is important that the tooth is cleaned properly so it can be dried completely. Secondly a special gel is applied into the grooves to aid the bonding of the sealant to the tooth. Lastly the sealant is applied to the surface of the tooth and allowed to set. The patient should be able to eat and drink straight away. Fissure sealants are a simple preventive measure to aid in the protection of your child’s tooth for the long run. As adult teeth are meant to be kept for a long time, it is important that we keep the decay free for as long as possible. 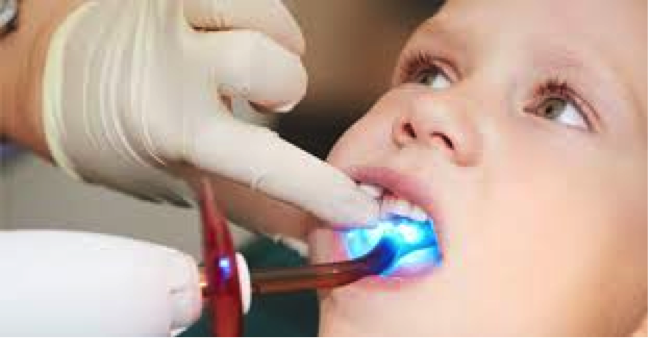 Young kids are not always the best at brushing, so sealants give them a helping hand. As the saying goes prevention is better than the cure, and in dentistry it can be cheaper as well.